The spirit of the day has taken over. 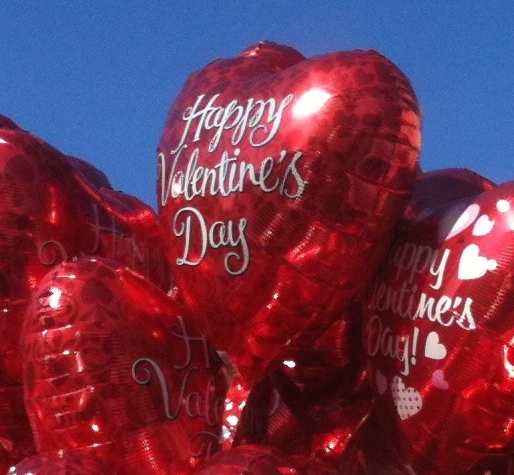 Earlier in the week I was in a Dollar Store parking lot when I witnessed two people carrying enormous bunches of balloons. They proceeded to stuff them into a station wagon. My research revealed that the first batch of store bought balloons totaled 124. One escaped and floated away. How this was actually accomplished I never found out because I went into the store to do my in depth reporting. 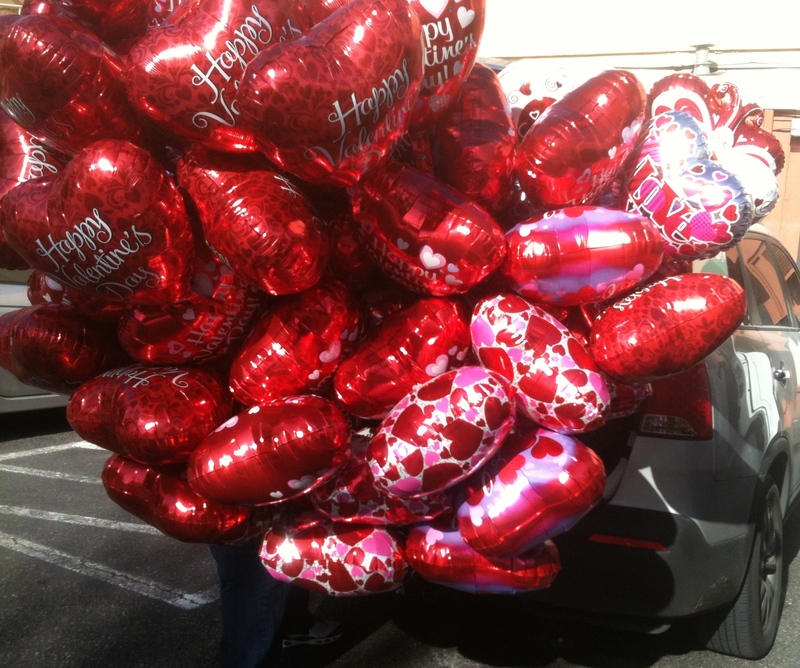 I was told that 250 balloons were purchased in all making a return pick up necessary. 250 balloons at a dollar a pop, you do the math. For all of you getting the love, flowers, chocolate, the cards, wine and prix fixe meals have a happy and abundant Valentine’s Day. 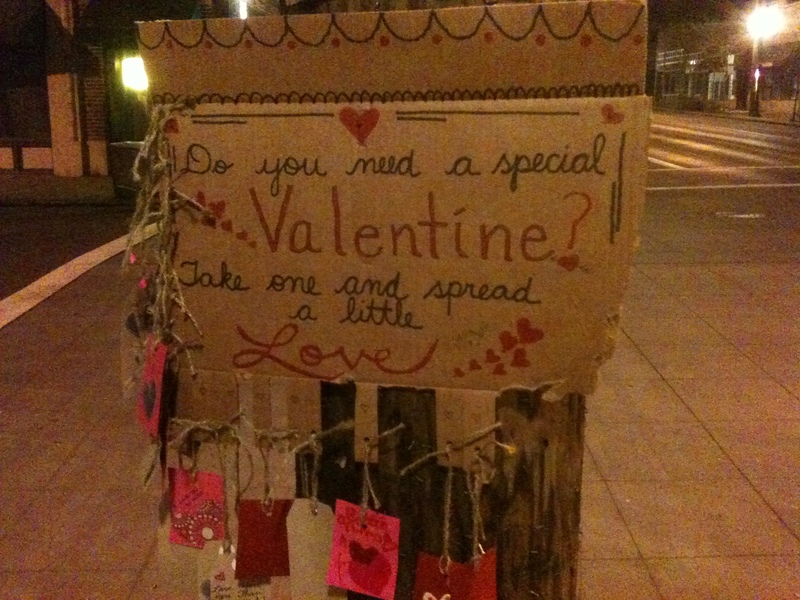 Post Script: This (above) was hanging on a telephone pole in downtown Kenton dark and early Valentine’s Day. 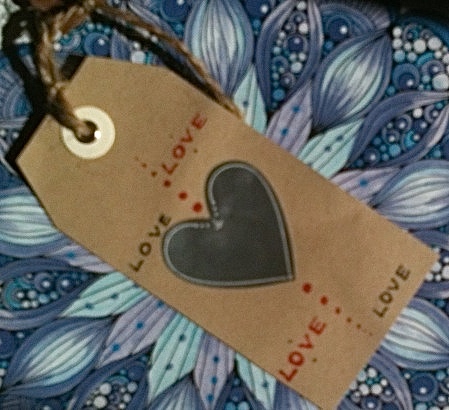 The sign included free hand decorated tags for the taking to spread Valentine’s Day cheer.